Science Communications Officer Namrata Sengupta is building a career at the Broad Institute of MIT and Harvard by breaking down complex science for the public. Crafting her PhD training, she transitioned from conducting research to aiding scientists in sharing their research stories. 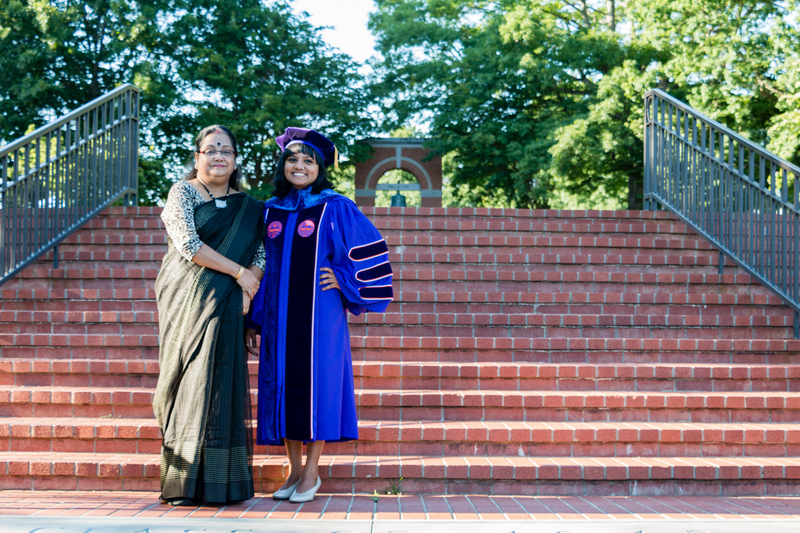 Namrata Sengupta knew early in her graduate career that she needed to create opportunities outside her PhD training to grow as a science communicator. Through strong mentorship, Namrata built a portfolio that showcased her communication abilities. At Clemson University, she and her graduate student peers created a high school outreach program emphasizing scientific communication within their community. 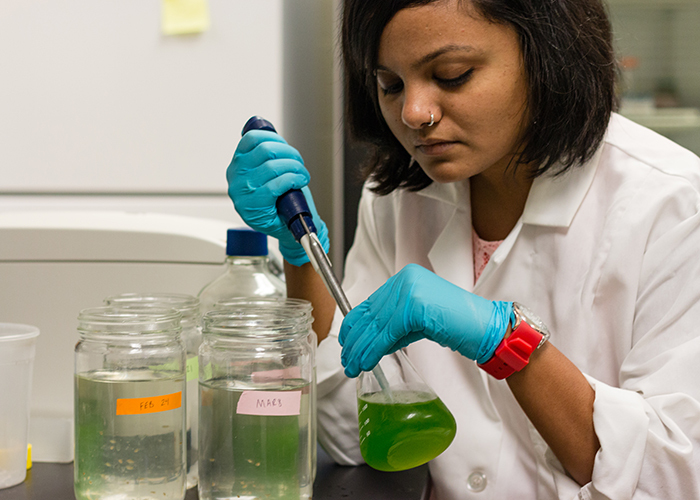 Whether tweeting her defense or telling incredible stories of researchers at the Broad Institute, Namrata continues to seek new and inventive ways to reach target audiences. What empowered you to pursue a career in science communication? What skills do you use daily as a science communications officer? Science communication is defined by trying to wear multiple hats. You’re expected to be a good science writer and interviewer and to understand what an interviewee’s research is about, which may mean doing background research to write your news story. You also have to decide on the narrative and make sure the main message is conveyed. As a science communicator, your goal is always to figure out the most important component and to condense that into relevant and simplified content for the audience. That can be a bit daunting in the beginning. These days, you also need to be social media savvy. You’re acting as a mediator between scientists and the public, translating complex scientific research to a format that is relevant and digestible to your audience. What opportunities did you use to improve your graduate training and gain science communication experience? 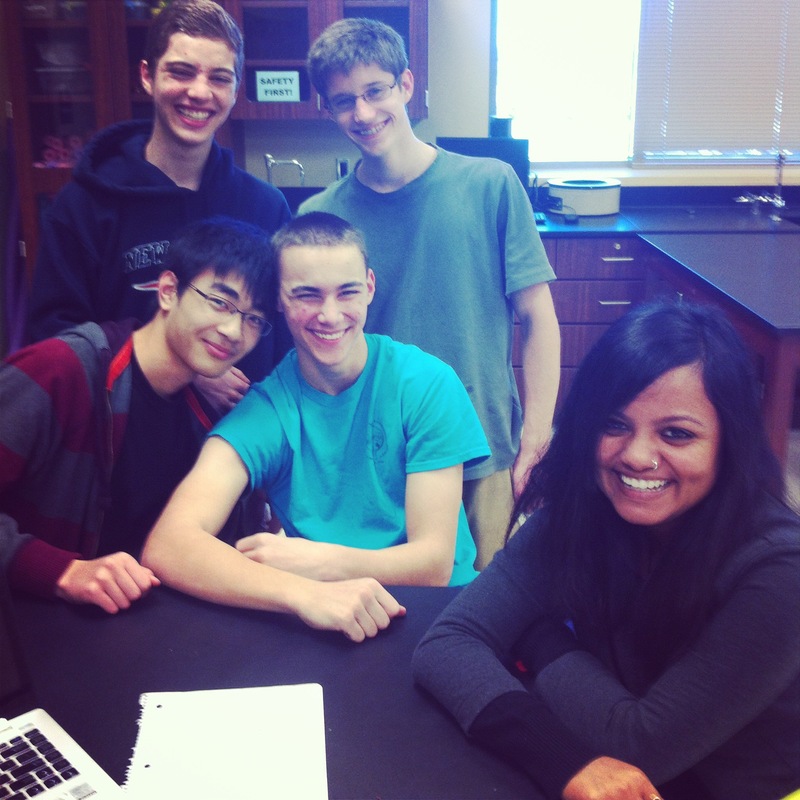 Sengupta working with high school students to communicate their research as a part of the WOW project. I came into graduate school knowing that I needed more than I would get from lab experiences or classes. A pivotal experience in my graduate career was a sustainable outreach program I developed along with four of my colleagues called the Clemson WOW (‘What’s in Our Waters?’) Project. We mentored high school students, teaching them about careers in environmental or biological sciences while giving them real-world field projects. This really expanded my project management and mentoring skills and taught me how to get young people interested in scientific research. 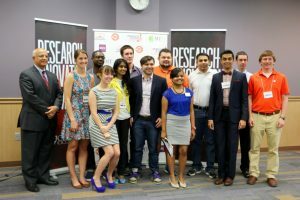 I was also very active in student government, which organized two major events: the Three Minute Thesis competition and our graduate research symposium. Managing the symposium, in particular, prepared me for my career since it involved everything from fundraising to marketing to communication. Can you tell us a little about your job search? The initial job search process was very challenging. Most job descriptions were asking for applicants with degrees and experience in communication or journalism. One of the things that worked in my favor was that I had well-documented experience in multiple social media and communication projects. For about a year in grad school, I worked as an environmental communications intern for a local nonprofit in South Carolina, helping to give them a social media presence. I was also really active on Twitter. To share my PhD defense with those that couldn’t attend, I created a hashtag and scheduled tweets to be published throughout my talk. I mentioned that during one of my interviews and my interview board laughed and asked me questions about it. These kinds of experiences really showcased my communication skills. What encouragement do you have for graduate students that want to pursue a career in science communication? Sengupta leading the graduate student committee for research events at Clemson. Your PhD trains you to decode very complex pieces of information. You are already so attuned to problem-solving and figuring things out for yourself that you can build the skill set needed to interview a scientist or read an article and then write about it in a concise manner. Most importantly, I encourage people to find a mentor outside of their department and their lab. I had two mentors during graduate school: one was the Director of Research Communications, and the other was an environmental educator who were priceless resources to me. I could not have made it if I had not gotten all those experiences during my PhD program. If somebody is interested in a career in communication, they have to start practicing. Start writing a blog! If you’re at a big conference, volunteer to cover a session or write a post-conference synopsis. Volunteering like this can help you get writing pieces to show as work examples, and it can help you get noticed. Get in touch with other science communicators, other journalists, people in your university press offices. Talk to people who write great stories and cover amazing science. Try to understand how that field works. The idea is to believe in the power and the uniqueness of your own story; that is going to take you a long way as a science communicator, not just in communicating about research but in building your own journey. 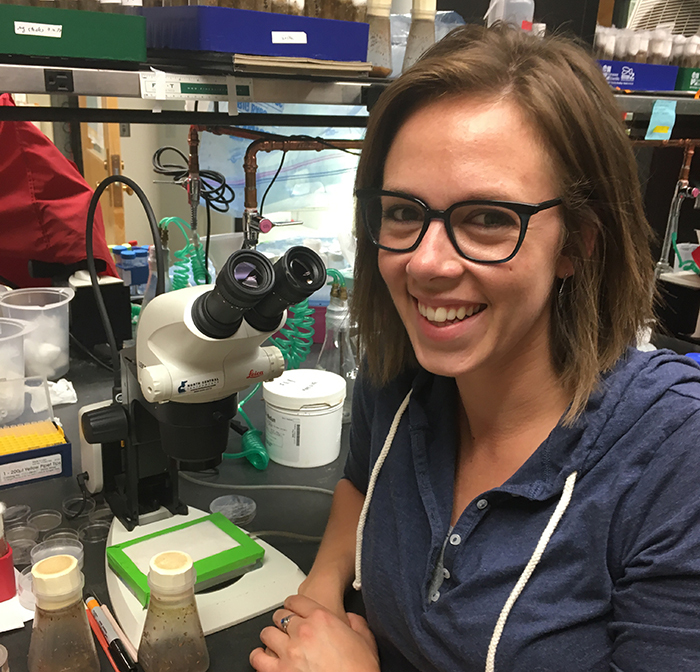 Nicole Green is a member of the Early Career Scientist Career Development Committee and a PhD Candidate in the Department of Biochemistry & Molecular Biophysics at Kansas State University. She advocates for scientists using their unique voices and perspectives to make research accessible in the classroom and the broader community.